I know it’s similar to Fiction Nation’s theme (with all due respect to our wonderful SIC, Allana), but I have several reasons in writing about bookmarks featuring film adaptations for September. First: Because September is the month when Cinema Europa opens! This year, it will screen on September 29 to November 10 yet another brilliant lineup of 23 movies from Austria, Belgium, Bulgaria, Czech Republic, Denmark, Finland France, Germany, Hungary, Italy, The Netherlands, Poland, Romania, Slovakia, Spain, Sweden, the United Kingdom, Norway and Switzerland. Whether the films were adopted from books or not, it has to be announced here. One of the habits I have when it comes to watching films or reading books is that I check out if either one has an adaptation, particularly when it comes to classics. When I find a book that has been translated into film, then I watch the film. Some would say it’s cheating, some would say it’s better to read the book first but either works for me. It doesn’t matter which comes first—they are both precious eggs (or chickens, whatever you prefer). It’s hard to compare two different forms of art. Books are made to be read and films are made to be watched. Naturally, some parts will be altered – for better or for worse. That’s why I am always careful on slamming a film only for its faithfulness to the book it was adapted from. 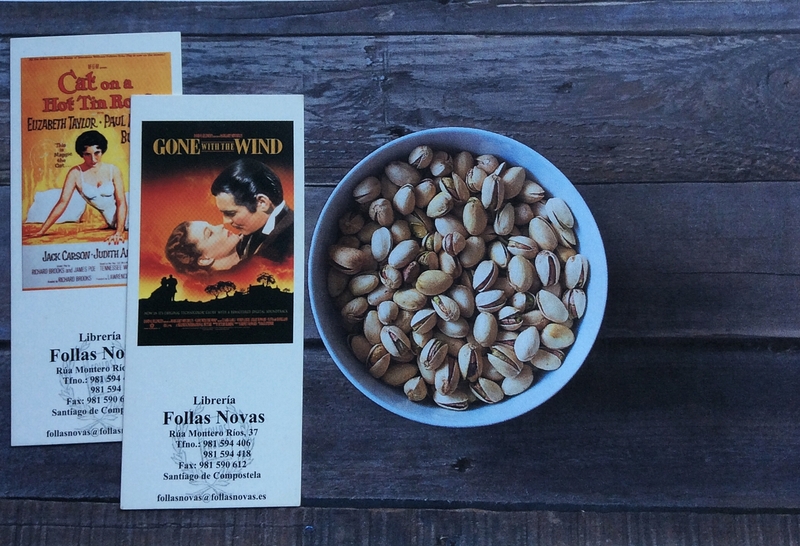 Last: Because I want to show you these beautiful bookmarks created by Libreria Follas Novas in Spain. It’s a bookstore-library. This set of bookmarks is one of my favorites in my collection because it’s timeless and, obviously, feeds my other interest. How I wish our bookstores here produced bookmarks like these! These films are adaptions from novels or plays, except for “Pillow Talk,” which won an Academy Award for Best Writing (Original Screenplay), so it’s not based from an earlier novel or written work. Rebel Without a Cause (1955) -Title was adopted from psychiatrist Robert M. Lindner’s 1994 book, Rebel Without a Cause: The Hypnoanalysis of a Criminal Psychopath. The film has no reference to Lindner’s book in any way.